A Super variety once widely grown for its indescribably rich flavour but suffered a decline in popularity in the'30s. It deserves to be resurrected again now! 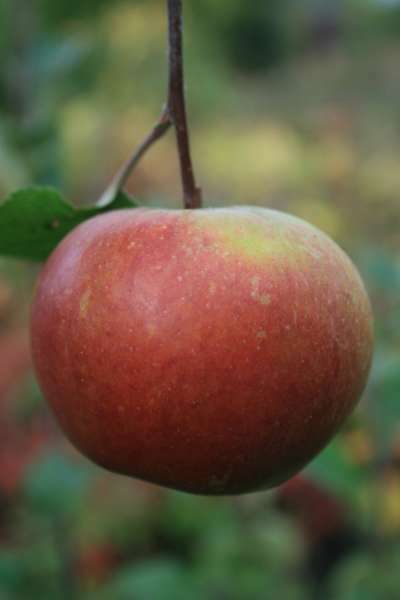 A King of the Pippins, Cox cross with medium sized conical pale yellow fruits flushed with brownish red. The creamy coloured flesh has an intense fruity flavour with is at its best from Christmas onwards. It cooks very well prior to this with a sweet but not bland flavour. It is a good cropper but specimens in northern areas do not always produce well flavoured fruits. Pollinate with: Sunset, Discovery Alkmene, Redsleeves, Grenadier etc.